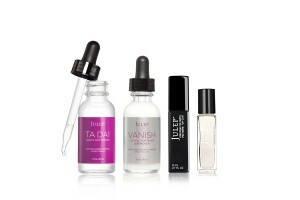 Julep Maven May 2014 Selections are Open - The Fresh Twist Collection! The wand comes in all of the normal polish boxes, and to make sure everyone finds a box they want there are 7 boxes to choose from this month. SEVEN. That's ridiculous, but awesome. 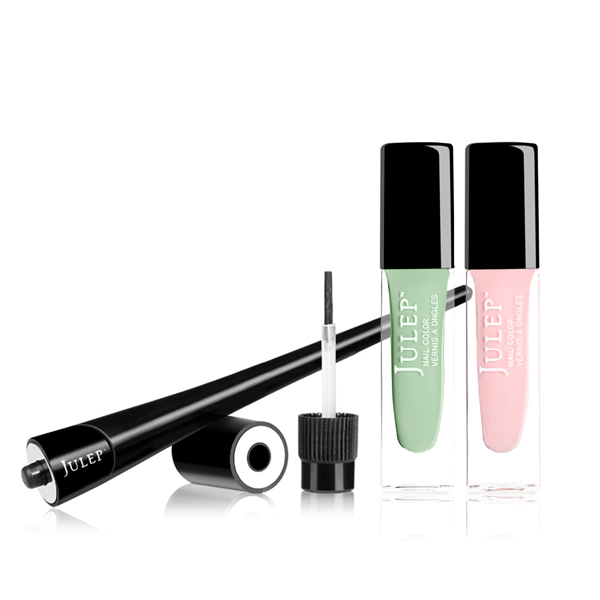 Julep also announced that as of June you will be able to upgrade to a fully customizable box (for more $$ of course) - this will be called Maven Luxe and you can find out more about it here. Now, let's take a look at the May boxes! 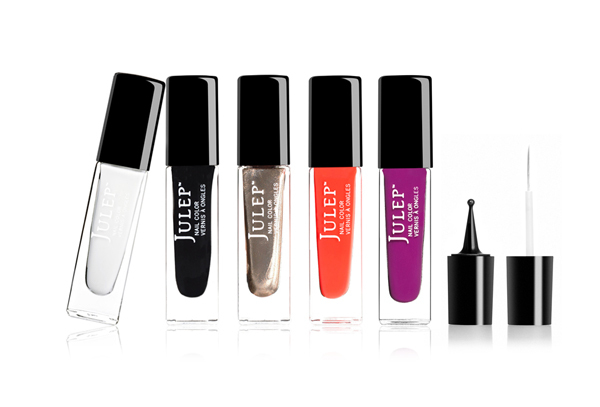 Julep Plié Wand™: Ergonomically designed to bring more control, accuracy, and fun to every polishing experience. 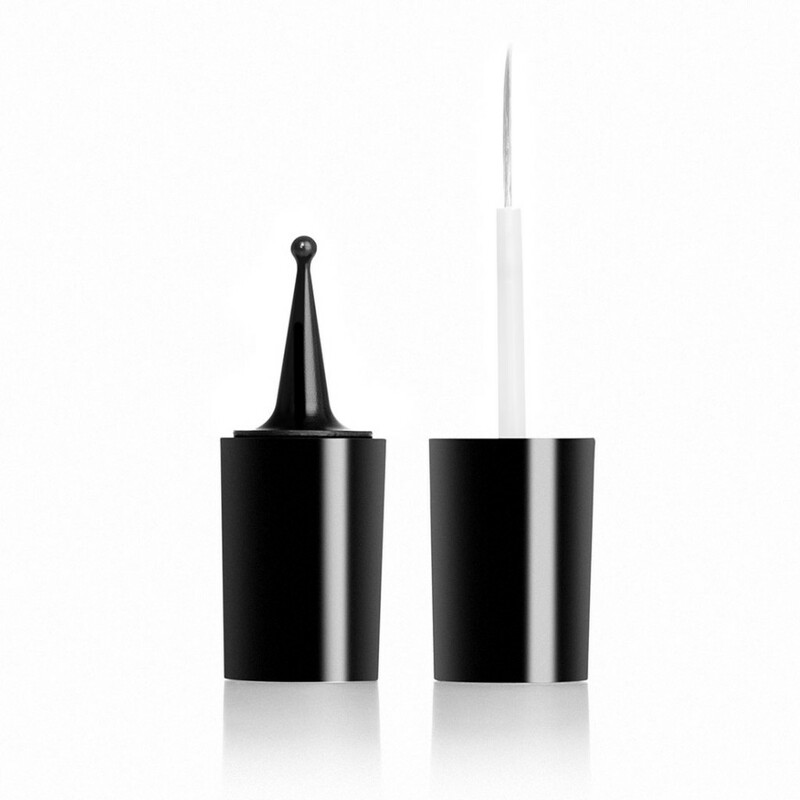 Comes with a Plié overcap & precision brush. 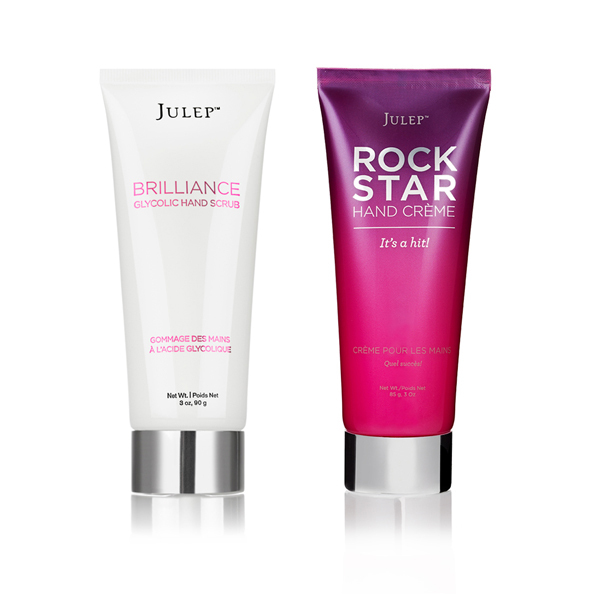 Brilliance Glycolic Scrub: Our best-selling five-star scrub has a brilliant new name. Gentle enough to use every day, this dual-action exfoliating scrub instantly reveals brighter, smoother skin—like a facial for your hands! Natural apricot seeds whisk away dirt, oil, and dead skin cells while a potent concentration of glycolic acid works to fight signs of aging. 90% of users noticed softer, younger-looking skin after just one treatment. Rock Star Hand Crème: This anti-aging blend of shea butter, glycerin, coconut oil, and vitamin E keeps hands hydrated, even after washing. The non-greasy, fast-absorbing formula will leave you cheering for an encore. Rock on. I'm excited to try the new Plié Wand, though I also think the Core Classics Box for this month is a steal. For now I've settled on the It Girl box (changed my mind!) Bombshell Box with the Creativity Kit add-on (I'm on the hunt for a good striping brush). If I didn't have the majority of the shades in the Mod Art Kit already then I would totally be picking that up instead; five full-sized polishes and the Creativity Kit? That's an amazingly good deal. The monthly box program is $19.99 US (they ship to Canada and the US), and as a Maven you get free shipping. 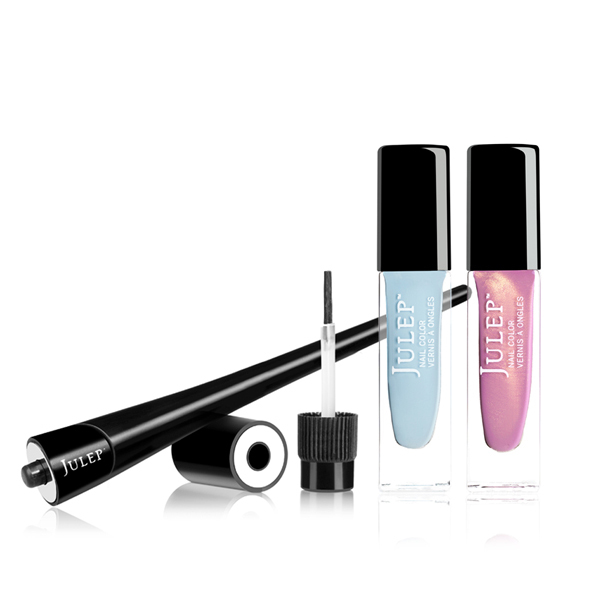 If you're interested in signing up for the Julep Maven program you're welcome to use my referral link, and remember to use the code FREEBOX at the checkout to get your first month free! Let me know what you think, and which box you're thinking about picking up this month! I love your blog! And I love that you're a Maven, so I can see what other people like and don't like each month, haha. Last month I hated all the colors, and this month I LOVE them all. But I can't afford the upgrade, so Boho Glam it is :) If you get the dotting and striping attachments, you should post and let us know what you think of them! That's so lovely to hear!! Thank you! :) I agree, I love seeing what other people get in their Maven boxes!! I wasn't really feeling last month or this month, but the Julep boxes are my one consistent splurge/self-care investment every month so I picked one up anyway... To be honest, I feel the months that I feel 'meh' about the polish colours is the months that when I get it I fall in love with them immediately! I'm totally getting the attachments, and I'll be sure to make a post about how they work and compare them to the other brushes and dotting tools that I have.... I'm excited to potentially finally have a striping brush that I like! Fingers crossed!